Studio 5380: Love My Cameo Blog Hop! I'm really excited to be taking part in today's Love My Cameo Blog Hop! I've only had my Cameo for a few weeks, but, I am already in ♥Love♥. I'm still learning about this fabulous machine and doing a lot of 'trial and error", but I'm getting there! 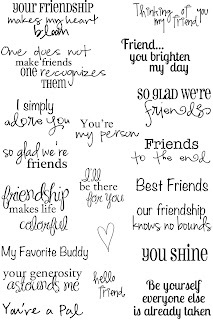 I love being able to browse the Silhouette Store online, choose some cute little images (for only .99 cents each) and cut them out immediately! Talk about instant gratification! Anyway, I was really thrilled when Sarah from Pink By Design asked me to be part of this hop! * I cut two pieces of chipboard to 7 X 8 inches and covered with this fun Valentine's, striped paper from K&Company. I added some white stitching lines with my gel pen. * I cut a top-note shape (purchased at the Silhouette Store0 from the heart patterned paper, inked up the edges and added some hot pink ribbon before adhering it to the striped layers. * The scalloped heart is also purchased from the Silhouette Store. 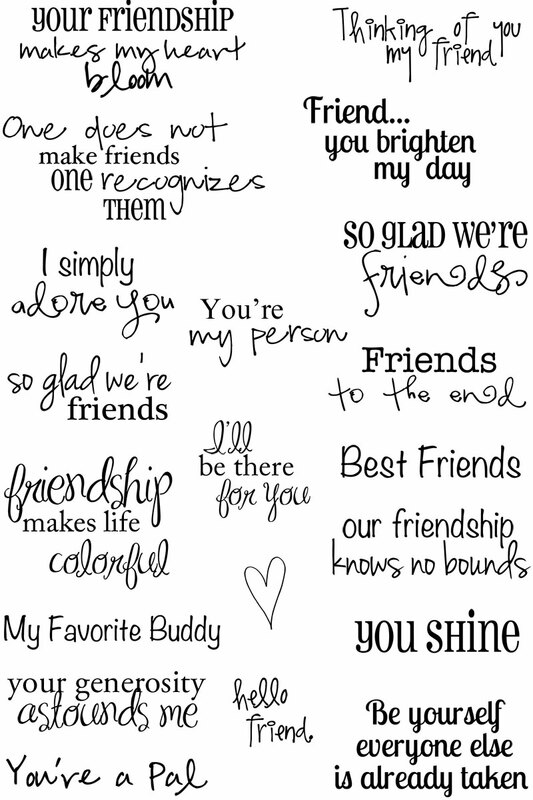 I ran it through my Cuttlebug using the "Doodle Hearts" embossing folder by Paper Studio. Next I spritzed the heart with a bit of Silver "Glimmer Mist". I also used a white gel pen to add a few stitching lines around my heart. * After cutting out and assembling the Pegasus image, I added some Martha Stewart glitter in "Sugar Cube" to his wings and "Tourmaline" to his tail and mane. I also used a paper punch to make a wreath of flowers around his neck. The center of each flower has a hot pink gem. * I used the Spellbinders die "Labels 11" to create my sentiment mat which is stamped with the perfect sentiment from the Pink By Design stamp set Inner Princess. After adding a few stitching lines, I slipped my sentiment mat under the ribbon and glued into place. * I cut sheet of white and pink paper for the inside pages and bound the notebook together using my Cinch and some hot pink .75 inch wire. * Hot pink and white ribbon tied to the wires finished off the front of my book. * I cleaned and smoothed off the edges of a vegetable can and sprayed it with white spray paint. * After it was completely dry, I covered the can with more of that cute Valentine paper and added a white border created with a Martha Stewart punch. * I cut out several hearts in various sizes on my Cameo and stamped them with fun sentiments from Pink By Design. * A hot pink bow finishes up this easy project! I couldn't help myself from adding a few more fun sentiments to the back of Emma's notebook! Do you think she knows how special I think she is? 2. Leave me a comment on this post. That's it...nothing to it! I will post the winner's name on Tuesday, February 14th. Ok, now you should be off to the next stop on this fun hop. Head on over to Cecilia's at Crafting In The Night. Enjoy the rest of the hop and I'll see you soon! Ok so I really want a cameo!!! Wish they actually sold in a store near me, shipping is way too much to canada!! i love your project the note book is so pretty and the matching pencil holder is too cute!! Thanks for the chance to win! Very cute! Your granddaughter will love it!! 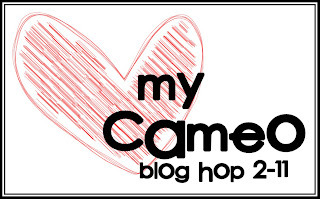 Thanks for being a part of the love my Cameo blog hop today! What a great project! I love my Cameo, too--best Christmas present Santa has brought in a long time!!! Glad you are putting yours to good use!! What a beautiful notebook and pencil holder! What an adorable set, Tanya! So happy to be part of this hop with you! Oh ladies what have you done. Now I want a cameo. Oh can't wait.....Adorable project TFS. Awesome!! I will have have to get that file when I get my Cameo. My dd is also obsessed with all things "horse". Great projects. I am a new subscriber follower. such a CUTE project Tanya!!!!! love this!!! Oh My! Ya'll are so talented! I am loving learning all of the little tricks for my Cameo. Thanks so much! What a sweet gift. I love your creativity! Thanks for the great ideas and sharing. I am now officially your follower. Way too cute! I love my cameo too. Isnt it awesome! You have some beautiful things on your blog! I want to try this notebook and pen holder for my granddaughter. What a cute project Tanya! I love it! Great stamp set. Love all the sentaments. Just signed up to follow you by Email. Your project is just too cute............TFS! Adorable set you created here! Glad to be in this hop with you! oh boy.....I love these projects....oh boy. Cute projects......The note book is great. but the pencil holder made out of a vegetable can?!?!....Brilliant!! Now a follower! SOOO cute! Yes I think she knows how special she is... She is one lucky little girl... I would love to win the stamp set... Thanks for the chance to. Oh is this ever darling!!! Emma is going to love this!!! Awesome project...thanks so much for the information on how you created them!!! Oh I can see a few dozen of those pencil cups in my future. What an impressive little teacher gift that will make! And yes, that stamp set is a must have. Very versatile. Sweet projects! Your granddaughter will love them! Love your project, especially the glitz! I'm a new follower. Thanks for doing the hop! Great projects, I have had my Cameo a couple of weeks, need to play with it more, I am really enjoying all of the projects from the hop and learning a lot on the way. what a precious project Im sure she will love it! following you for more great projects! Ok Sweetie! I told Gaby this and I am gonna tell you too! I DON'T NEED ANOTHER MACHINE... Got it? No more adorable Tanya creations using a Cameo... No more amazing talent that you always provide inspiration with that is going to enable me to order one... OK? Got it? I don't need another machine. Repeat after me... I don't need another machine... By the way... Your designs are so beautiful and inspiring that I really want one... But today, I am sticking to my guns! I don't need another machine!!! I'm sure your granddaughter is going to love these projects, Tanya. I just got my Cameo and am looking forward to all the wonderful things it can do. I've become a follower of your blog. Thanks for sharing your projects and great instructions. Your projects are so bright and lovely! Thank you for taking the time to show us and to share too. Supercute projects! Thanks so much for the inspiration! Happy to be a new follower! nice to do for your granddaughter...it was nice.. I'm a new follower! Thanks for sharing your creativity with us! Love your project! I am also interested in buying a Cameo now! Wow... your projects are fabulous!! I too just got my Cameo, but I haven't really had time to use it. I have been very inspired by this hop and can't wait to try out some of the great techniques. I am sure your GD will LOVE your gifts... I know my DD's would!! ps.. I am a follower of your blog! So adorable Tanya!! I love how Emma is fascinated by Pegasus and Unicorns--so cute! She's gonna love this! Love the gift you made for your granddaughter...I'm a NEW follower...I'm getting the cameo for valetines day..
OK, now I want a Cameo. Awesome projects. Love the papers too. Just signed up to follower and I love your Valentine project for your granddaughter Emma! She is gonna love it! Thanks for a chance to win this awesome stamps. Awww...Your granddaughter will be so delighted with your special gift. I can't wait to get my hands on my own Cameo! Thank you for taking the time to share and post. Happy Valentines day!